This entry was posted on Thursday, October 20th, 2011 at 22:25 and is filed under Barack Obama, Breaking News, Economics, News, Politics, Sarah Palin. Shortly after an appearance on Hannity on Thursday evening, Sarah Palin sent out a tweet via the Twitter social network that reads simply: “This is outrageous. Wake up, America…http://t.co/xOC3eoqd” This link is to a story that should indeed be an outrage among Americans. With the approval of the Obama administration, the US Government gave a $529 million loan guarantee to a Finnish car company, Fisker, that produces electric “plug-in” cars. The problem is that they decided that rather than spend the money on a plant here in the US, they’ve gone back to Finland with the dough. EARTH TO OBAMA: What in the world were you leftist dolts thinking when you decided to go along with this idea? Let’s export some more jobs. Let’s put more US capital at risk. Talk about WTF moments! So, to stay here in America is to fail? In addition to being at least mildly insulting, it’s also an unintended assessment of Obama, if you consider it carefully. After all, if the company cannot succeed in the environment Obama has created, it’s not exactly a ringing endorsement of Obamanomics, is it? Nevertheless, this is another of the “Green Jobs” scams and it is typical of how this administration has operated. How much would you guess company executives have contributed to Obama? There’s no information available on that at present, but you can bet it will be coming. Update: It turns out that Al Gore is a partner in the company receiving the loan. With this administration, you had to know there was some crony-capitalism going on in this deal somewhere. Mr. Mark, thank you for your website. I have been checking it for a while and am a big fan. 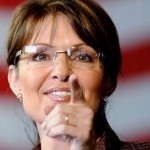 Please, please, please……I am from alaska and am Sarah Palin's biggest fans……please, after this article, use your influence to get her to save this country…..we need her to run for president. Sarah, save our country!!!!! I pray for you and all Sarah supporters. Ok, Glenn Beck also. God bless. I should also tell you, I am native alaskan, I have twenty aunts and uncles who are all natives of alaska, that vote democrap. I love Alaska, the 49th state of our crazy union. Earthquake! Todd Palin, the 1st 1st dude of the United States of America 2012! We need to be calling the GOP on the Carpet. I know they closed Palin out. We can not just lett them do what ever they want. Obama loaned 529million to Al gore's company called Fisher automotive. It was suppose to profide jobs instead once they recieved the money the jobs have been ousourced to Finland. So far they have made 40cars at a cost of 96,000 each. Why doesn't the gop already know all this.Obama is to blame but so are they. They alr allowing it to happen. Just like all the stimulus money that when to zip codes that did not exist. I check a few around where I live. One for over 100 thousand when to a husband and wife still in their twenties. I was able to track them by their blog. Never could find out what they did .They were communists. Maybe it was just luck. our whole congress should be responsable for bringing our country to its knees. letting czars do their job. they need to stay out of their government health club paid for by us where they lay around trying to scam the people who elected them. then be banished from this country and go join the muslem brotherhood whom all of them take orders from ala billary clinton. why does no one in any type of power stand up for this country? There is abuot 200,000,000 of us who have had about all we can take from these communist liars. we should put them in the 200,000 railroad cars equipped with shackled and a guillotine in every car whict are now sitting in containers at sever of our shipyards (maent for us non mooslems) and lock THEM in the 200 + fema camps (concentration camps also meant for us) then set fire to their headless bodies! they have no concience morals and no reason to live. bama is a muslem if you dont believe it you should ask yourself why am I such a fool you obamites are just fools being used by a communist dictator and you too will be his next victims. our future has been ruined by our lying two faced polititions dems and repubicans. GOD help us all. dont mind the lack of punctuation im just too angry to bother with it. I am with you guys Marty why doesnt anyone do anything, anyone reading or attempting to keep up with current events has got to see these atrocities being committed against our country,our wealth being robbed on almost a daily basis, I write my representatives all the time but just get form letters back. I am working hard to withhold the swear words I want to use, I even wonder about H. Cain is he really on our side or what?We better find someone who is for this country and soon or who will beat obummer in 2012? Paul, I read the frustration in your words, and your anger is mine too. I'd like to hurl a few choice words myself, but it would only make me feel better for a moment, and I'd look as foolish as any angry leftist down on Wall Street as a result. It's difficult to imagine how we turn this around, but how many choices do we have? This makes me so damn sick I can't even come up with verbiage to convey what im thinking. Thanks for pointing this out! Funny that you choose to blame the president because nobody has had the idea of founding a company that does cars for other companies. Ever hear the phrase "the Buck stops here"? The policy that permitted these actions is Obama's. The people who approved this boondoggle are Obama appointees. The people who benefited from this policy are all Obama/Democrat Party cronies. The man who signed the bill into law that provided these loan guarantees was Obama. The Congress that put that law together without a single Republican vote did so at the behest of Obama. Who would you blame? George Bush? Get real. I agree with you. Just saying that not every finn is so full of s**t as that guy. Well, I expect not, no. Thanks! Here are the facts that are relevant: Al Gore is an investor. It's something that is therefore dirtied by crony-capitalism. Nothing in your linked article addresses that. The specifics of the article make it clear that with the information she derived from the ABC news report, her response is reasonable. Here's the problem: You don't have to like it. I realize ABC may leave out information in their reporting, but frankly, this loan guarantee should never have been made by the US government. Ever. The American people are on the hook for something that may or may not fail, but will have little positive effect on our economy. Hurrah. What does your article say that refutes that? Answer? NOTHING.